Hokkaido's best riding is in the backcountry. With deep snow, epic terrain, and whole mountains to yourself, it's one of the best backcountry skiing and snowboarding destinations on the planet. We have built our lives around hiking for turns and moving through the mountains. If you're looking to leave the crowds behind and experience the mountains on their own terms, you've come to the right place. We are passionate about the backcountry. Finding and sharing amazing mountains is the driving force behind the Powder Project. Whether you’re a seasoned trail-breaker looking for someone to show you the best places, or a first timer wondering how the whole skiing uphill thing works, we’re ready to help. We can help you figure out the gear, teach you about moving safely in the mountains, and get you on your backcountry feet, or we can take you to the top of something rad and get you down safely. We tailor each day to the needs of your group to get the most out of the weather and conditions. We’re serious about safety. 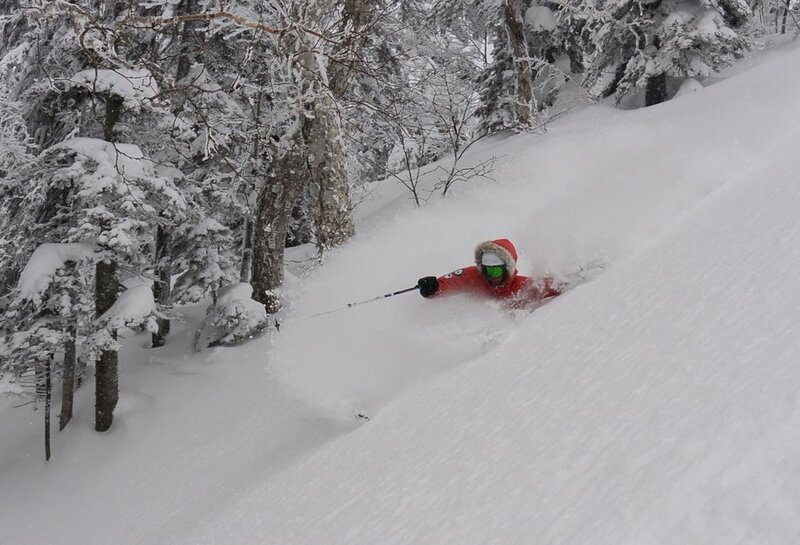 The Powder Project employs qualified ski guides with professional avalanche safety certifications and we’re not afraid to call in local Japanese guides if we need some extra hands. Hokkaido has a reputation for stable snow, but even Hokkaido’s snow is dangerous at times and it’s easy to get complacent. We’re in the hills day after day, year after year digging pits, watching the wind, and tracking layers in the snowpack. Our priority is to get you home in one piece with the best memories the mountains can provide. Sometimes that means steep, deep pow. Other times it means pulling the pin and going to an onsen. That’s fine by us. Asahikawa is the epicentre of Hokkaido's backcountry riding. Within an hour's drive there are long snaking chutes, alpine areas, steep faces, mellow glades, and everything in between. We’re very lucky to ski with local friends in these places and they have specifically asked us not to publish where we go, but we can assure you that the lines are good, the snow is deep, and the crowds are far, far away. We've spent years pushing into the mountains of Central Hokkaido. If you really understand the difference between quality and quantity, get in touch. There are lots of fun ski days. Eventually, your memories become a mash-up of snow and turns and hills with smiling friends and tired legs. But some days, some runs, stay crisp and distinct. Where the conditions and terrain and people align. Where you stand at the bottom of your run feeling blown away. Dumbstruck. Grateful. Those are the days we're chasing. And we have more of those days here than we've had anywhere else. If that's what you're looking for, let's look together. Hokkaido gets snow to sea level, and in most places there’s between 8 and 15 metres of snow a year. There’s backcountry skiing pretty much everywhere. The Tokachidake area in the Daisetsuzan mountains, south of Asahidake, is an old volcano with a range of great ski touring nearby. Tokachidake itself has some great lines, while nearby Furanodake has some steep, sustained and technical chutes that would be a worthwhile trophy in any backcountry rider's collection. On the other side of the valley is Furano ski resort, and to the south there are some genuinely burly peaks with steep, committing lines. Further south are the Hidaka mountains, where there’s a lifetime of touring in the intricate ranges that run south to the sea. In the west is the Niseko area, but between Niseko and Chitose Airport are some outrageous (if fickle) backcountry options with active volcanoes overlooking crystal clear lakes. Otaru, northwest of Sapporo, has some great backcountry lines scattered through the hills overlooking the town. There are stand-alone mountains in the east, and peaks in the Deep North where on a clear day you can see the Sea of Japan, the Sea of Okhotsk, and the Pacific Ocean. There are mountain passes, mellow tree runs, alpine terrain, technical chutes. You name it, it’s out there. And it’s probably in condition. 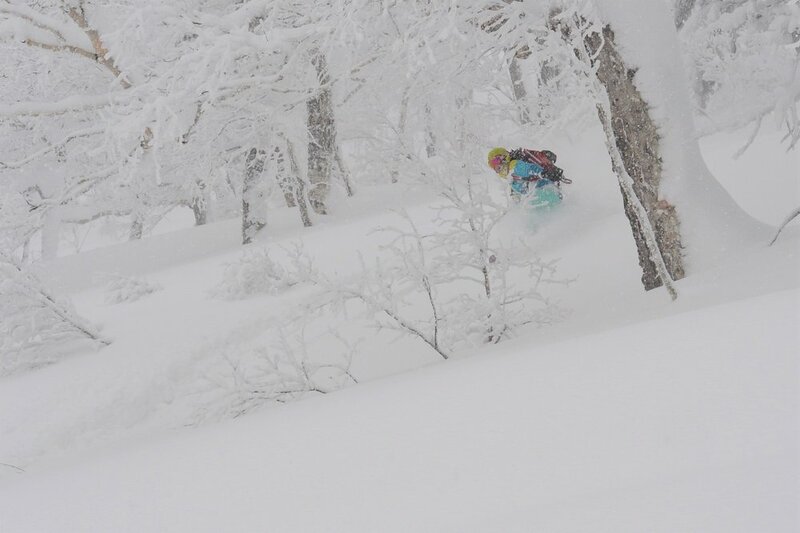 The backcountry options in Hokkaido are endless, and they’re not going to ski themselves. Come and give us a hand. Have a look at our trips page, or email us at contact@powder-project.com.